Lt. Brian Jackson (Ret.) 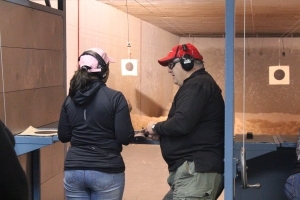 – Instructor – Firearms – Brian is a veteran Police Officer and Firearms Instructor for the NYPD. With over 25 years of experience from the NYPD and Captain of the NYPD shooting team Brian’s extensive experience on the range and the streets provides students with the expert knowledge they are looking for.